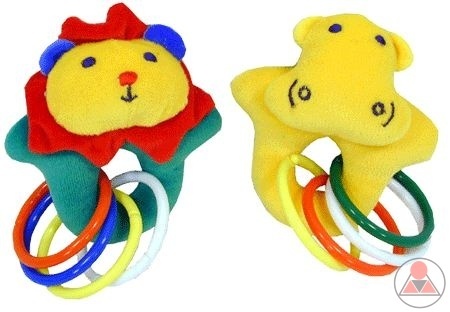 Let the World Follow Us…..
Why do babies like rattles? Because they LOVE that rattling noise, and rattles are easy to hold. They are also good to chew on and chewing is comfortable for teething babies. Babies get a lot of pleasure from grasping things and putting them in their mouth. Babies like soft toys that make a noise. They also like to look at colourful, dancing mobiles hanging above their cribs. Before toy factories started making toys,parents usually made all their children’s toys be hand. Rattles are not just used as toys, they were once used as musical instruments or as part of special ceremonies.